Awaken your Akashic Records, develop your innate intuition and experience growth and abundance by connecting with Sarah Lawrence and having an Akashic Records Reading. 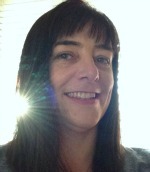 Sarah has been giving Akashic Records Readings since 2010 and is an experienced Intuitive Coach. Why have an Akashic Reading? The Akashic Records are the data stream of your Soul, stored at Soul Level in order to give context to each incarnation you have. This is why the best life choices are always made in context, never in a vacuum. Not knowing about our previous lives leaves us uninformed. Energetically we are always co-creating with others, which means that karma from Past Lives is also activated. To be better informed, we can connect with our Akashic Energy and understand how we got to the present moment because of our previous life choices and experiences stored at the Soul Level. The more information we have, the better choices we can make! Help to understand transgenerational issues, karmic blocks and energetic blocks and restrictions by learning how to Know Thyself at the Soul level through Akashic Records Readings with Sarah. Reading the future coaching course - Energetic Goal Setting - learn to connect with the best possibilities and probabilities for your future based on your Soul's karmic freedom levels. Awakening your Akashic Records. Learn to feel the energy of the Akashic Records for increased creativity and spiritual growth. The Akashic Records, Empathic intuitive skills, Divination from Angel Oracle Cards, Divination from Rune readings (Norse Runes). Sarah is also an accredited NLP Practitioner, EMF Balancing Technique practitioner, business trainer and personal coach. Sarah helped me when my dog Bailey was transitioning. We talked over the phone, she encouraged me to release him and tell him it was okay for him to pass on. (I guess I hadn't thought of that!) She also communicated with Bailey directly. She asked me to put the phone close to his ear and she told him what a good boy he was. All this support helped him and after we hung up, Bailey took his last breath and easily moved on. It was so beautiful. I'm so thankful for Sarah's love and skill.